RTE Crime Correspondent Paul Reynolds has denied having a “deep prejudice” against garda whistleblower Maurice McCabe or that he was part of a “conspiracy” against him. Mr Reynolds told the Disclosures Tribunal it was not true that in a series of 2016 reports he was “taking the garda line” that it was fair to “put the boot into” Sgt McCabe. He was concluding his evidence to the tribunal today. Whether the RTE broadcasts were influenced by Ms O’Sullivan is one of the issues being examined by the tribunal, which is investigating an alleged smear campaign by senior gardai against Sgt McCabe. Mr Reynolds is one of eleven journalists former Garda Press Officer, Supt Dave Taylor claims to have negatively briefed about Sgt McCabe between mid-2013 and March 2014. Mr Reynolds has denied that he was negatively briefed by anyone and said Garda Headquarters had “absolutely no influence” over him when he reported on May 9, 2016 on the leaked findings of the O’Higgins Commission report on policing failures. Michael McDowell SC, for Sgt McCabe, put it to Mr Reynolds that when he called Sgt McCabe for a comment before those broadcasts he was “simply going through the motions” and did not intend to have any significant input from him. Mr Reynolds denied this and said Sgt McCabe “could have said anything to me” if he had spoken to him. “This is too serious for pretence,” he said. Mr McDowell said Mr Reynolds had omitted in his reports that Sgt McCabe’s evidence was preferred over other gardai on numerous occasions in the commission report. This suggested he was supportive, Mr McDowell said. Mr Reynolds was then questioned by Mr McDowell about February 24, 2014 online reports in which Mr Reynolds stated that the Commissioner wrote to Sgt McCabe 14 months earlier and gave him a direction to co-operate with an internal garda enquiry into the cancellation of penalty points. Mr McDowell said it was a “distortion” to say that Sgt McCabe had been directed to co-operate with the inquiry. The direction, Mr McDowell said, was to desist from communicating information from the garda Pulse system to third parties and if Sgt McCabe had any further concerns, they could be brought to the O’Mahony inquiry. “I’m a journalist, I work in the English language, I don’t work in a Parliamentary version of it,” Mr Reynolds said. Mr McDowell was saying it came across in the RTE reports not as an option but as a direct order, Tribunal Chairman Peter Charleton said. Mr Reynolds said a commissioner did not give people “options” when he sent a piece of paper with the word “direction” on it. He said what was in his report was not his opinion, he was not taking a view but giving facts. Mr McDowell said then-Justice Minister Alan Shatter had apologised to Sgt McCabe in the Dail. Mr Reynolds said the apology was for saying that Sgt McCabe refused to co-operate with the internal garda inquiry. Mr McDowell suggested this was untrue and indicated a “deep prejudice” against Sgt McCabe. Mr Reynolds denied this and said he reported the facts impartially. Mr Reynolds was then cross-examined by John Ferry BL, for Supt Taylor. Mr Reynolds said it was not, and that he heard things like that all the time. Mr Ferry said Mr Reynolds was “the news man in this country” and he was at the front of RTE in crime and policing. It was “completely unrealistic” that he would say “that is the end of it” after hearing the information. “Lieutenant Drebin is standing in front of a fireworks factory giving a press conference and saying ‘move along folks, nothing to see here’ while the entire fireworks factory is exploding in the sky behind him,” Mr Ferry said. Mr Ferry said other journalists who said what they heard about the allegations against Sgt McCabe had given “riders,” such as that was the reason he fell out with management. Mr Reynolds said he heard no riders. In relation to Mr Reynolds’ assertion that briefing could not have happened at murder scenes, Mr Justice Charleton said he was taking it as a fact that people attending crime scenes had an opportunity to chat. “It’s not true that everything I heard about Sgt McCabe was negative,” Mr Reynolds said. Mr Reynolds told Noel Whelan BL, for the gardai, that in relation to the online story about the direction to co-operate, he made up his own mind on that and “nobody darkly spun” that interpretation to him. Mr Whelan said it was a “conspiracy theory” to suggest Ms O’Sullivan was planning and orchestrating the RTE reports and was also maligning Mr Reynolds’ journalistic work. The tribunal heard the O’Higgins Commission, had been investigating policing failures on foot of complaints by Sgt McCabe and its report had been delivered to the Minister for Justice in early May 2016. 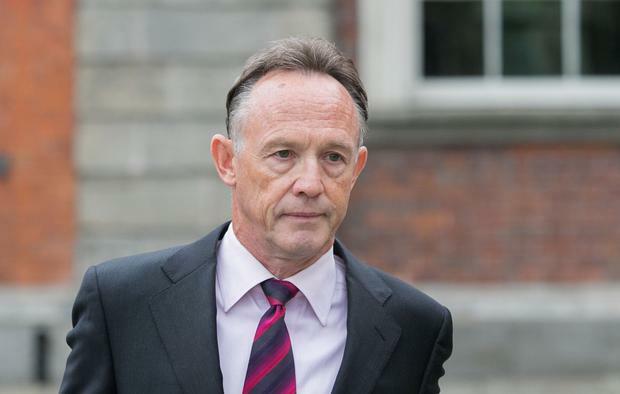 RTE’s former Chief News Editor Ray Burke gave evidence that before the publication of the report of, he had asked Paul Reynolds and political staff to see if they could get their hands on it. Mr Reynolds did and was in contact with Mr Burke before RTE ran the story. Diarmaid McGuinness SC, for the tribunal, asked who he suspected would make this accusation. “I think it has appeared in newspapers more than once that Paul Reynolds would write stories that would favour the garda establishment,” he said. He stated that he recalled Mr Reynolds telling him on the phone that the report’s finding was that Sgt McCabe uttered an untruth, and if he could be described as having told a lie. “I made an editorial decision to use the word lie,” Mr Burke stated. “I said, Paul, a deliberate untruth is a lie, you can use the word lie,” he said. Mr Burke said they worked in a newsroom and used “colloquial” terms. He was saying that the criticism of Sgt McCabe should be further down in the report. Mr Burke said he was never briefed by the gardai and did not know of any briefings Mr Reynolds received. Any suggestion of Ms O’Sullivan influencing coverage was a “slander to her” and a “slander to everybody who worked with me,” he said. In cross examination, he told Michael McDowell SC, for Sgt McCabe, that he did not see the commission report himself and trusted Mr Reynolds. “If I said, ‘Paul, show me the page where it says this’, it would be insulting to Paul and a waste of my time,” he said. It would have been “impractical” for him to read the 360-page report himself, he said. “It’s plainer English,” he said. Later, Garda Human Resources Director John Barrett told the tribunal he was not the “impeccable authority” Sgt McCabe claims told him that RTE’s broadcasts were “planned and orchestrated” by Ms O’Sullivan. Despite Mr Barrett’s denial, Sgt McCabe had said not withdrawing his complaint, his counsel Mr McDowell said.